Super bright, low power consumption, powered by 3 x AA batteries (batteries are NOT included). Suitable for home lighting, decoration, wall lamp, birthday party and so on, surely brings you elegant luxury and romantic feel. It's perfect for decorating your party, home, shop and Christmas day. 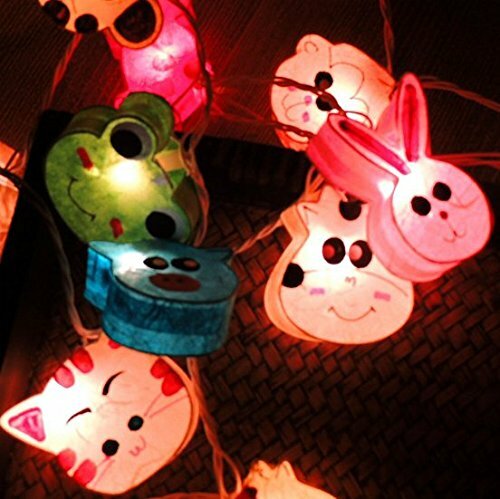 Cute animal shape paper light string.